Asus today announced the dual-band RP-N53 Wi-Fi range extender, which uses strong internal antennas to increase wireless networking coverage. 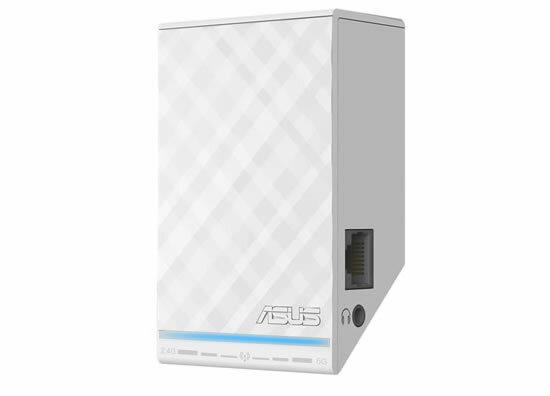 It works in concurrent 2.4GHz and 5GHz at up to 600Mbit/s alongside routers from Asus and other brands, overcoming obstacles to transmission to eliminate reception dead zones. Customers get stable internet access in bigger and multi-floor environments, including areas such garages, basements, backyards, and roofs. To pair the RP-N53 with routers, customers only need to press the WPS button, and setup is complete. WPS (wireless protected setup) is compatible with routers from Asus and all other brands, plus a wide range of client devices such as PCs, smartphones, tablets, game consoles, and smart TVs. The RP-N53 offers wireless performance with up to 300Mbit/s on the 2.4GHz band and an additional 300Mbit/s via 5GHz. Since the two frequencies work in tandem, total bandwidth reaches 600Mbit/s, with 2.4GHz suitable to web browsing and social networking, and the clearer 5GHz band to HD streaming and online gaming. Multiple-input/multiple-output (MIMO) antennas within the RP-N53 ensure stable performance in both frequencies. Customers can quickly change operating bands using the web-based browser. Customers can easily enjoy music anywhere at home with the RP-N53, as it includes a 3.5mm audio jack. 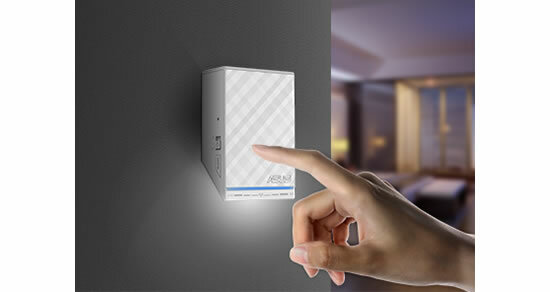 It connects to speakers and becomes part of home entertainment or hi-fi systems, delivering music content wirelessly from source devices such as router-connected USB storage. 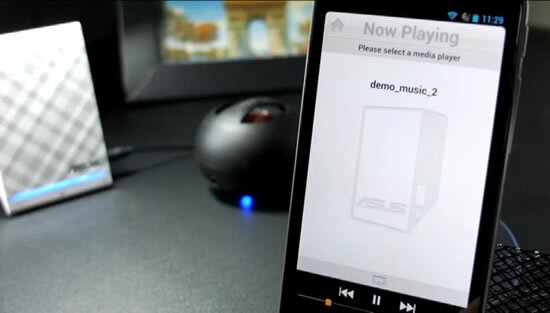 Audio files stream from storage to the RP-N53, which in turn interacts with sound hardware to deliver audio playback. The Asus RP-N53 features LED signal strength indicators on its front, with one dedicated to the 2.4GHz band and one to 5GHz. Customers can gauge reception strength at any given location, helping place the RP-N53 in areas where performance is best. The LED lights double as an aesthetic addition, and can be turned on and off with one touch thanks to a sensor embedded in the RP-N53.